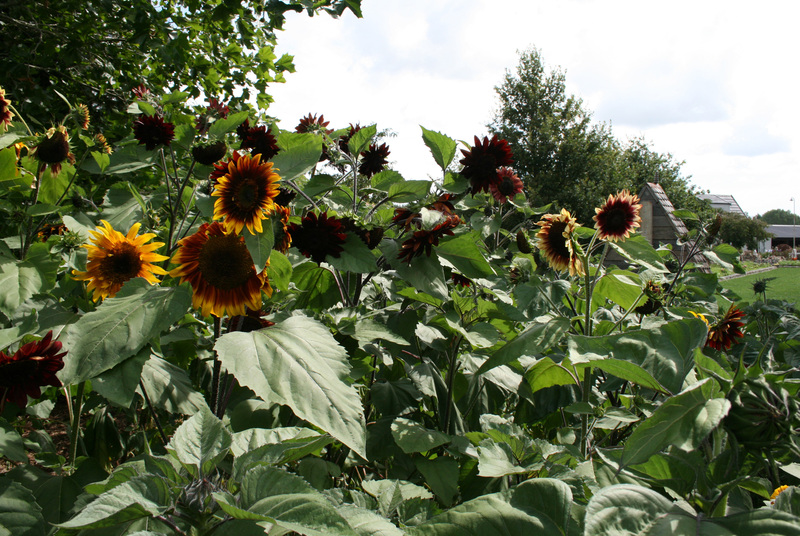 The hundreds of the sunflowers I sowed at the far end of our new lawn are now cheerfully blooming on cue. Unfortunately, they’ve also turned their backs on me. When you sow sunflowers, it’s important to keep in mind that they follow the sun from east to west (plant them along your eastern boundary and they’ll spend the whole day perving on your neighbours instead of grinning at you). But here’s something else I’ve learned: if you have a huge old oak tree near your sunflowers that blocks the midday sun for an hour, then your sunflowers will turn their heads half-way, then stop, and stay facing east all day. So I’m going to try a classic Kiwi No. 8 wire sort of solution. I’m going to twist their necks and wire their heads so they can’t help but face west. Here’s hoping it works.